Bunbury-Harvey Regional Council Chief Executive Officer Tony Battersby discusses council’s composting services and its work in garnering community support for its services. Q. We understand Bunbury-Harvey Regional Council has set up a food and garden organics collection (FOGO) composting facility. What has been the feedback so far on its success? A. Bunbury Harvey Regional Council has been composting FOGO waste since 2013, when the City of Bunbury first introduced the service to its residents. With the help of the FOGO system, more than 60 per cent of Bunbury’s kerbside waste has been diverted from landfill. These results have prompted the surrounding shires of Capel, Collie and Donnybrook-Balingup to also implement FOGO kerbside collections. These shires that have introduced a FOGO kerbside collection are now meeting the 2020 waste diversion target set by the Waste Authority for Regional Areas, diverting more than 50 per cent of kerbside waste. We offer regular tours of the composting facility, both to the public and other interested councils, and the feedback is always positive. Residents are often amazed at how simple the FOGO composting process is and at the quality of the end product. It can be hard to visualise household waste turning into a rich, black soil improver until you see it with your own eyes. Q. What are some of the challenges of producing your own organic certified compost and how do you overcome them? A. Our ongoing challenge at the compost facility is contamination. Part of the problem lies in the confusion over degradable, biodegradable and compostable terminology. Many residents think they’re doing the right thing by putting a biodegradable product in their wheelie bin, when in fact, unless its certified as compostable, it will probably not break down in our facility. Other problem items include glass, plastic bags and nappies. It’s just a matter of being flexible and adjusting processes where required to deal with it. We are continuously trialling new methods and processes to improve our end product for our customers. A. In recent years, we have seen growing demand for our organic compost, specifically in the agricultural market. This is a testament to the quality of the compost produced, as initially the compost “made of waste” was a hard sell to farmers. But now we are seeing increased sales and are looking to upgrade the facility to meet demand. We want to remain in a position where we have capacity to accommodate processing further organic kerbside waste from any other surrounding councils wishing to implement a FOGO system. At our landfill site, we are prioritising recycling and attempting to have the highest proportion of waste sorted for recycling as possible. Through careful design of our transfer station and education of our customers, we are achieving more than 70 per cent diversion of all waste passing through it. Our transfer station also acts an outlet for customers to purchase the organic compost and mulch produced by the FOGO system, so that residents can see the “closed loop” created by recycling their organic waste. With the tip shop and also being a household hazardous waste drop off point, council is looking to evolve to be a “one stop shop” for all householders looking to dispose of waste in the region. Q. How has the introduction of FOGO affected landfill operations? A. The introduction of FOGO results in a number of benefits at the landfill site. Obviously there is less organic waste being landfilled which results in less landfill gases and preserves airspace. An added bonus of having both a composting facility and a landfill facility means that the lower grade organic material not suitable for commercial sales can be utilised at the landfill site for rehabilitation, which will come in handy at present as we begin to rehabilitate one of our existing landfill cells. Q. What are some of the more challenging waste streams and how does council deal with them? A. At our landfill site, mattresses have been an issue for a very long time, taking up airspace and often working their way to the surface and causing damage to equipment. We have recently purchased a shredder which has assisted with this issue. The shredder not only reduces the mattresses volume, but removes the metal components including springs, which can then be recycled. 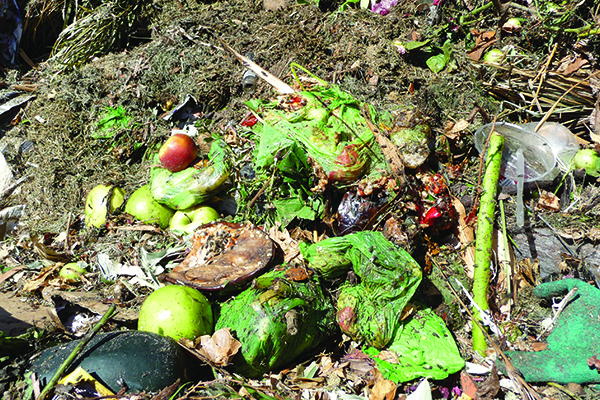 Our next challenge in regards to waste streams is probably commercial organic waste. Organic and commingled recycling at the source is mostly optional for businesses and because of this, we cannot capture organic waste sent to the landfill along with general waste. This will be a tricky issue for Bunbury-Harvey Regional Council to address without having any control over collections within the region. Q. How do you work with the surrounding regional councils to ensure outcomes? A. We do not really have any regional council neighbours in our backyard. However, we work closely with the metropolitan regional councils. We meet regularly with these councils, sharing knowledge and learning from each other’s practices and experiences. Our door is always open to any council wishing to take a look at either of our sites to see what we’re up to. Q. What are the main opportunities for increasing diversion of materials from landfill/increased resource recovery? A. National Sword has put us all in a position where we need to review our waste practices and look for some better ways of doing things. FOGO is a fantastic example of a closed loop circular economy. Our residents here in the south-west can place their organic waste in the bin with assurance that it will be recycled into compost and sold to farmers to use for further food production – all within 50 to 70 kilometres of their homes. This is a successful model and it could be applied to other recyclable materials as we progress towards a wider circular economy. Q. What are the challenges for the council in managing waste in the future? A. Personally, I think getting everybody to recognise waste as a valuable resource is our biggest challenge of the moment. Not just its value when it becomes waste, but also the value of the resources taken to produce any given product. While a circular economic model addresses these concerns, it will be a major challenge getting the Western Australian market to this point.